Now, Let’s suppose we have the ISO ready (Size around 1.2 MB). Now, you can mount the PVS Boot Iso file to all PVS targets, and do not forget to reconfigure the Boot order on all VM’s. 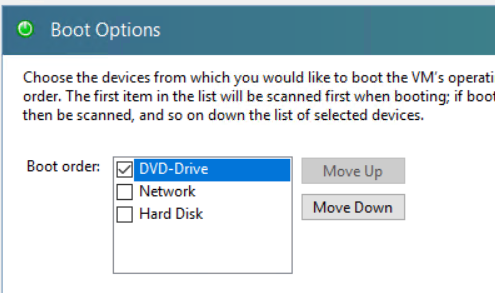 “DVD-Drive” must be at the top of the order.